Designing on Benches in Hamra Street! UPDATE! One is at the corner near Jack & Jones (Modca corner) and the other is facing Fransabank on the right side of the street. The first bench tries to capture the spirit of Hamra, the energy & hype, the lights, the crowd, the restaurants and pubs during the day and at night. While the second bench is a typographical interpretation of a quotation from Steve Jobs. I knew I wanted to design the bench with a typographical approach using an inspirational quotation, but I couldn’t come up with anything yet that day. I woke up that morning with the sad news that Steve Jobs passed away, so it came to my mind to use one of his inspiring quotes. I thought it would also pay tribute to him that way too. 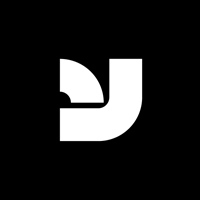 It is a really interesting that even by passing away, he inspired me to do this design. I hope you enjoy both benches. 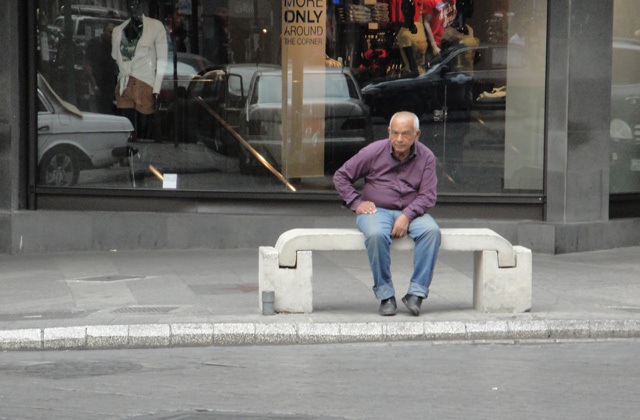 Designing on Benches in Hamra Street! 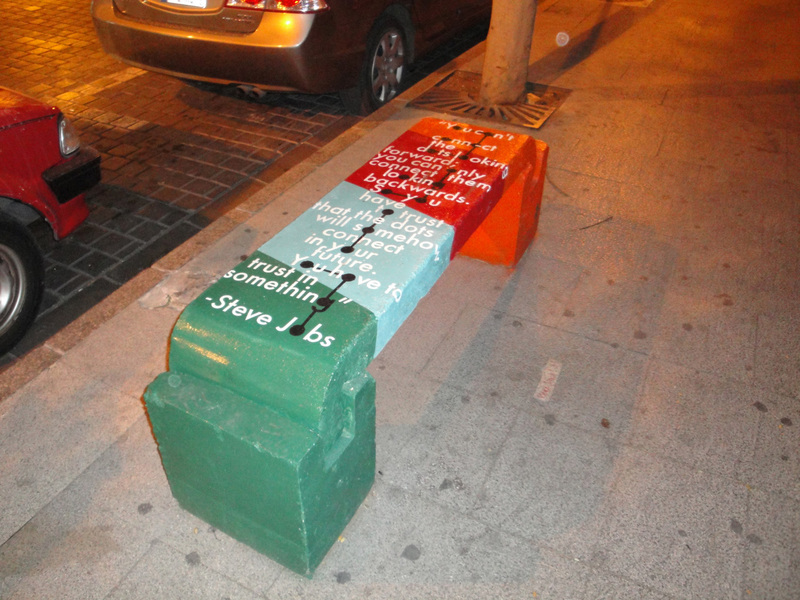 As part of Hamra Street Festival Maraya 2011 follow up events, I will be designing / painting on 2 of the concrete benches recently placed. One will be at the corner in front of Jack & Jones and the other will be near Fransabank. Two other selected artists – Dalia Baassiri and Nisreen Mohtar – will be there too to work on 2 other benches each. 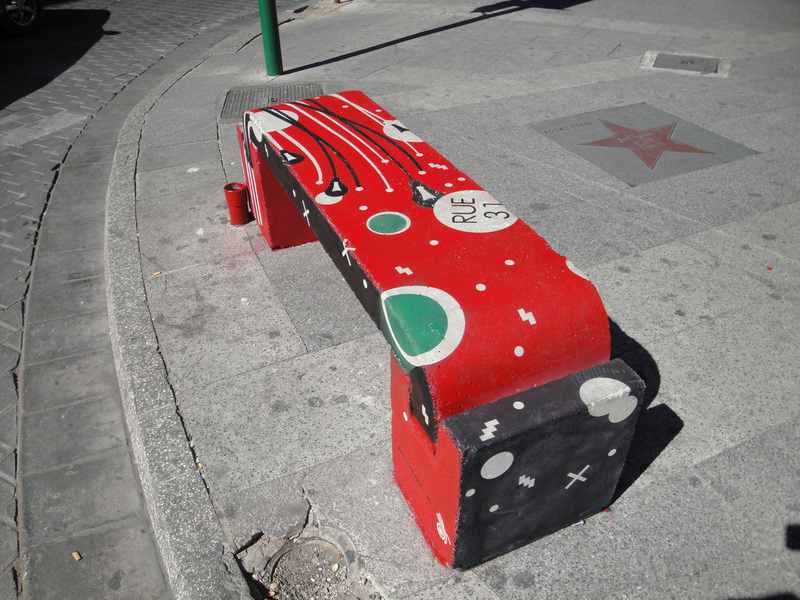 Painting of the benches that were placed on Hamra Str. during Maraya 2011 will take place on Tuesday & Wednesday October 4th & 5th, 2011 and is sponsored by Blom bank, Credit Bank & Fransabank. Pass by and take a look. Pictures will be posted later.